Bride-to-Be Mandy Moore Roadtrips to NorCal for 'Girls Weekend' with BFFs (Including Minka Kelly!) - Integration Through Media ....! Bride-to-be Mandy Moore is celebrating! The This Is Us star, who is engaged to musician Taylor Goldsmith, traveled up the California coast on Friday for a weekend away with her girlfriends. “The Best weekend ever to commence shortly,” she wrote on her Instagram Story before she embarked on the drive up north. Moore, 34, share multiple behind-the-scenes videos on Friday of her “girls weekend” roadtrip — stopping for a coffee break, enjoying snacks in the car, road trip games and taking in the gorgeous coastal views — and tagged multiple friends in the first post, including Minka Kelly and costar Susan Kelechi Watson. “Arts and Crafting our way to #UpstateCalifornia celebrating @mandymooremm watch out jewelry makers, these are #wildwildcountry #rajneesh #notcoachella,” Moore’s friend and hairstylist Ashley Streicher captioned a Boomerang Instagram video of necklaces of Moore’s face. 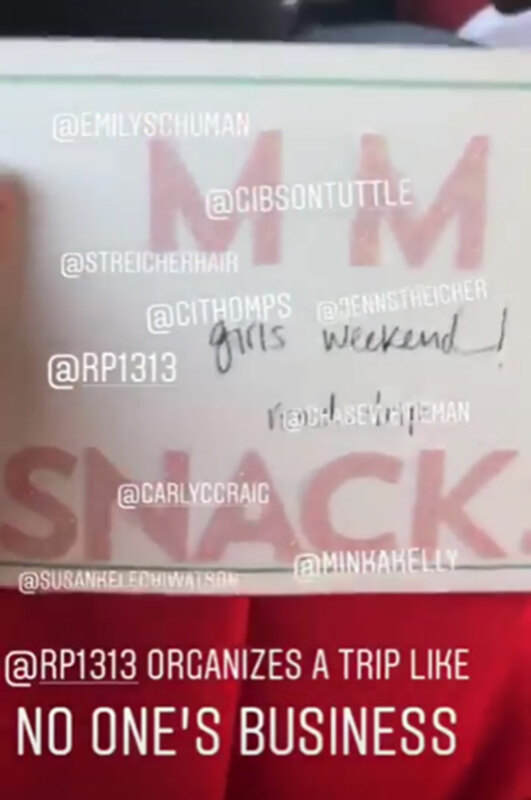 Blogger Emily Schuman, who is also one of Moore’s best friends and was tagged in a video shared by the actress, posted snapshots to Instagram of her packed suitcase for the weekend away, noting that attendees have a dress code. This past September, Moore, who turned 34 on Tuesday, got engaged to Goldsmith, a member of the indie rock band, Dawes. For their big day, Moore said the couple isn’t planning any over-the-top nuptials.